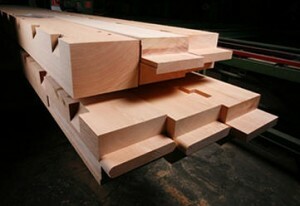 Pre-cut, ready to assemble, timber frame components. For complex heavy timber frame construction projects, Delson Lumber will facilitate the necessary engineering and CAD services required to make your structure fit together seamlessly. We utilize Hundegger CNC machines to ensure the pre-cut joinery for your project is precise and adheres to exacting structural standards. 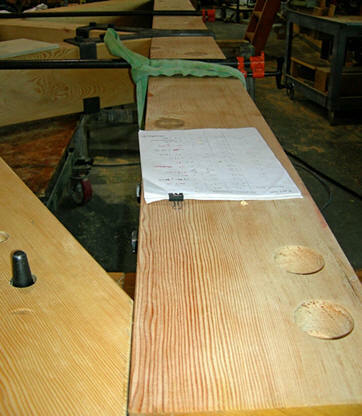 Delson can have timbers surfaced-four-sides, (S4S, in sizes as large as 16” x 30”. 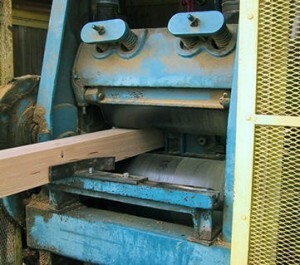 Timbers can be precision resawn on all four faces for a fine textured band sawn appearance. 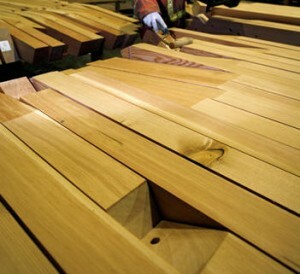 Full sawn, kiln-dried, rough sawn timbers are finished to *American Lumber Standard sizes. Delson Lumber provides custom cut rough timbers which can be surfaced to virtually any finished size that the customer desires. Your timber components can be hand fitted and pre-finished so that they are ready to install upon delivery to the job-site. This can include custom machined and finished metal plates and fasteners. Delson, together with our highly capable and experienced business partners, can manage the complete process starting from the round log all the way through to assembly of the end product.